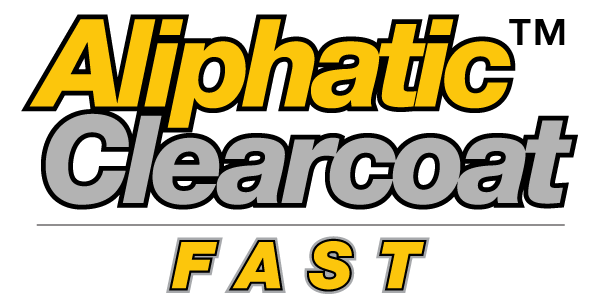 VersaFlex Aliphatic ClearCoat Fast is a high solids, color stable aliphatic polyurea coating. ACC-Fast may be applied directly to most substrates and may be used as a topcoat for existing epoxy, polyurethane, or polyurea. This coating is extremely color stable and displays excellent UV weathering characteristics. ACC-Fast can be applied in temperatures as low as 20°F. When fully cured, ACC-Fast will produce a highly abrasion resistant, high-gloss, smooth finish. ACC-Fast adheres well to most substrates including concrete, steel, wood and plastic. The high tensile strength of the coating is able to withstand the abuse of industrial equipment, steel-wheeled carts, and forklifts. The excellent chemical resistance is well suited for many harsh applications.